The definitive work on the ancient Hindu soma rituals mentioned in the Vedas and debated by scholars for decades. - The first book to identify the mysterious soma plant. - A breakthrough book that reenvisions the role of psychoactive plants in religion. Soma has been shrouded in mystery for centuries. It is simultaneously a sacred hallucinogenic plant used in secret rituals, a personified God, and an important cosmological principle. 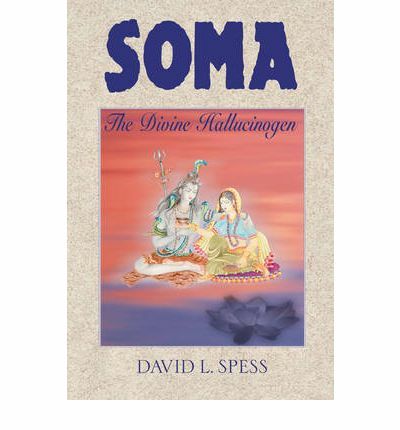 Summarizing all previous research on the subject, David Spess goes far beyond his predecessors and shows that soma provides an important key to the understanding of the earliest systemized methods of medicine, psychology, magic, rejuvenation, longevity, and alchemy. Most significant is that his intensive research provides the most compelling case yet for actual identification of the plants that served as the basis for the divine hallucinogen "Nelumbo nucifera," the sacred lotus of India, as well as some members of the "Nymphaea" genus. With the renewed interest in the ritual use of psychoactive substances, shamanism, psychic phenomena, and alternative modalities of healing, "Soma" provides a much needed bridge between Eastern and Western esoteric traditions. Contained within the enigmatic verses about soma in the Rig Veda is a secret about ourselves and the nature of our relationship to the world and cosmos. "Soma" makes this knowledge available to us once again.